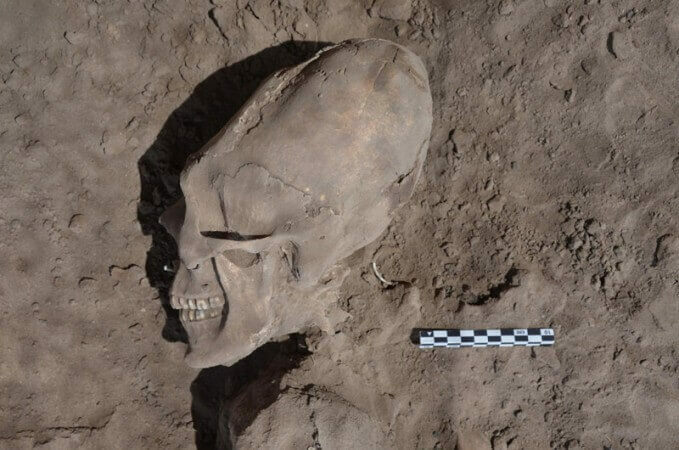 In Central Africa, scientists found what seems to be a cemetery of extraterrestrial “aliens” buried at least 500 years ago! “There are at least 200 bodies in the graves. Surprisingly, they are very well preserved. Now we are trying to find out where they came from were they actually killed here?” said Dr. Hugo Children, a Swiss anthropologist to journalists in Kigali, Rwanda. A team of anthropologists discovered a mysterious cemetery during a study of the Rwandan jungle, reports Weekly World News. Initially, scientists suggested that they stumbled upon the remains of an ancient settlement, but excavations showed that there were actually living here. The anthropologist also suggested that the aliens were part of an alien assault that, after landing on Earth, encountered somehow a deadly virus. Apparently, the aliens did not have immunity to terrestrial diseases and could die even from a conventional flu. “Scientists are still refusing to give the coordinates of the place where the alien’s cemetery is located, referring to the fact that crowds of adventurers will immediately rush to it. Nevertheless, they promise that when their work is completed, the exact location of the cemetery will be brought to the public. Our discovery, perhaps, will change the perception of the world in which we live.